Willem van de Velde the Younger (1633 – 1707) excelled in a tradition of seascapes that remained almost unchanged far into the 19th Century and the American Luminists, notably Fitz Hugh Lane. 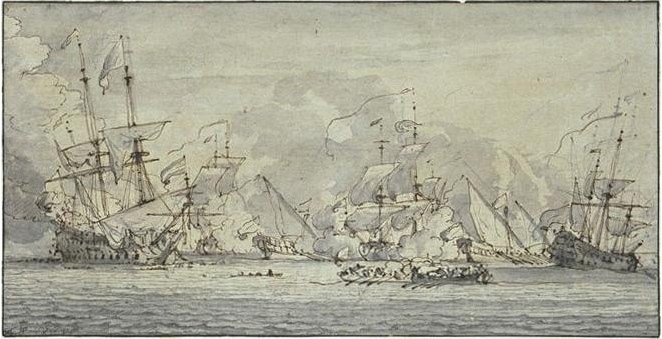 But I especially admire his drawings, of which “Warships and Galleys” is a favorite. On the one hand it’s firmly under control, executed in two gray wash tones plus black. But on the other, it’s very freely rendered. There’s no precious shape-by-shape filling in. The drawing is almost Impressionistic in its looseness. 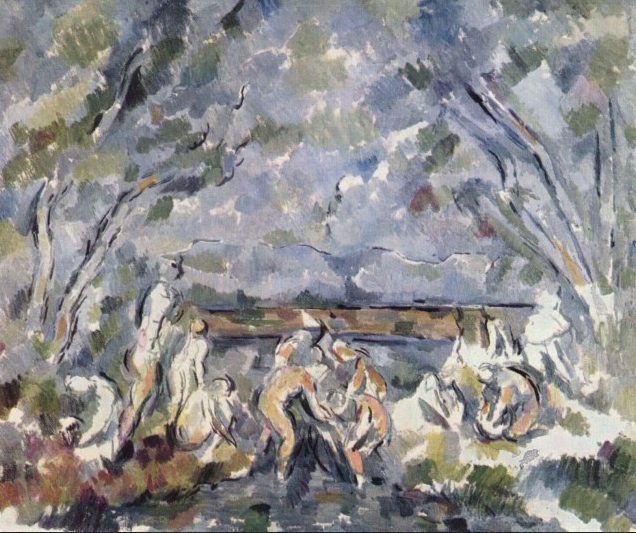 So much so, indeed, that I’m reminded of Paul Cezanne’s looser pieces from two hundred years later, which in their freedom and abstract boldness are strikingly reminiscent of van de Velde. Compare the lively touch and texture of these two pieces. Which demonstrates the common design elements that underlie all visual art. And which, in strong hands, far from being concealed, are right up front, and part of the delight.